Even though it is still in the 80’s & 90’s, we all know by the shortening days that the best time of year is almost here. Hunting season! Unfortunately, I have seen many patients whose hunting season or dream trip has been ruined by blisters caused by poor fitting boots, or boots that have not been properly broken in. The worst thing you can do is take a brand-new pair of boots into the field on opening day. Wear your boots in the house. Not to trying to get anybody in trouble, but when you by a new pair of brand-new boots, the best way for initial break and is around the house. 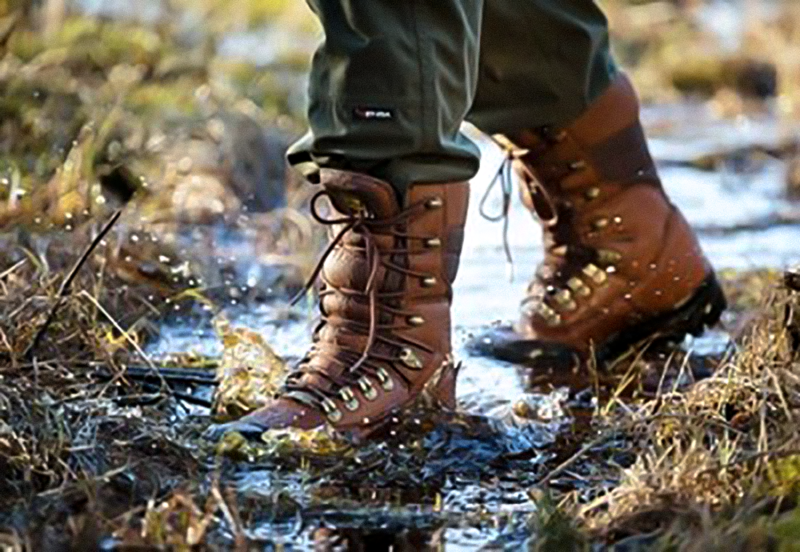 The boots are still clean, and you’re not stressing your feet too much. Wear the socks and insoles you’re going to wear during the hunting season (hopefully you did this when the boots were fitted….). They will be stiff, but this is why we are breaking them in. Do this for a week or so, and make sure you are not getting any irritation spots. Start walking around the block and around town. Slowly add distance and time. Make sure they feel good at each stage before upping the distance and time. Last stage. You need to go off pavement and on the trail, including hills, mud, water, etc. with a pack on your back. Not only do you need to get in shape for climbing the hills, your boots do also! As always, add distance and time, and make sure you’re not having any irritation spots. Listen to your feet. A small irritation can turn into a big injury quickly. If you are having any problems, please do not hesitate to see us here at Capital Foot and Ankle, (402) 483-4485.